Rail transport in the country is buckling under strain; from stolen copper cables; human error and aging infrastructure; errors even President Cyril Ramaphosa can attest to. In a further bid to ease the strain of the current problems, a partnership between Gauteng government and a Russian locomotive company has seen R500 million invested in the manufacturing of railway coaches. It’s a daily struggle for commuters. Late trains, overcrowding, old and worn-out infrastructure, serious safety concerns and train accidents caused by signalling issues and human error. These are problems which the beleaguered Passenger Rail Agency of South Africa is battling to deal with. Gauteng Premier, David Makhura, says that there is a huge demand for the modernisation of the rail infrastructure. As witnessed by the President and the premier when they were stuck for hours on a train in Pretoria with disgruntled commuters while on the election campaign trail, the situation has left Makhura disillusioned with Prasa and its ability to clean up the passenger railway network. In partnering with investors, who have deep pockets and expertise in the locomotive industry, Gauteng unveiled a R500 million partnership. Dr Hans Schabert, president of Transmashholding International, says that the company knows how to handle bad infrastructure. The premier is confident this partnership will keep the wheels turning. 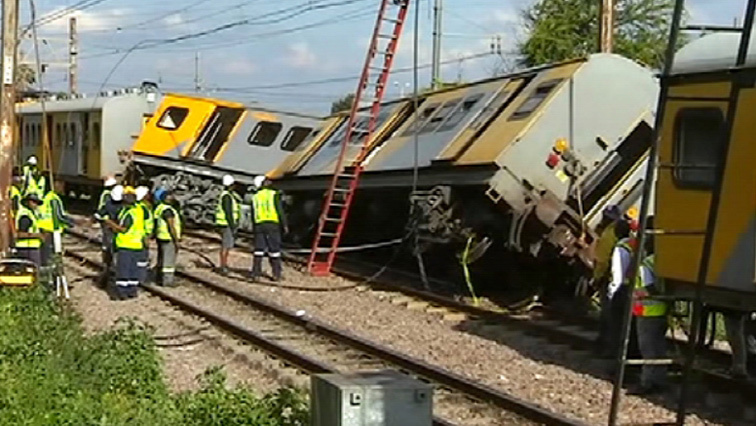 The post Gauteng govt partners with Russian locomotive company to solve rail issues appeared first on SABC News – Breaking news, special reports, world, business, sport coverage of all South African current events. Africa's news leader..